Sound is pretty powerful stuff. And the instrument we most use to hear sound with happens to be the incredibly-sensitive ear. The bottom line is that sound above a certain level quickly starts to become unpleasant, then painful; if the sound increases or continues unabated permanent damage can occur. As sound can be extremely loud and potentially damaging to the ear, it needs some serious acoustic barriers to keep it in the safe zone and that’s why these industries use Mass Loaded Vinyl bonded to stainless steel or aluminium, better known to innovators here at BS Stainless as SoundMet! It Gets Better: if required, we can further improve the physical qualities of SoundMet, to suit Arctic-weather conditions (SoundMet Lowtemp) or with enhanced fire resistance (SoundMet Fire). 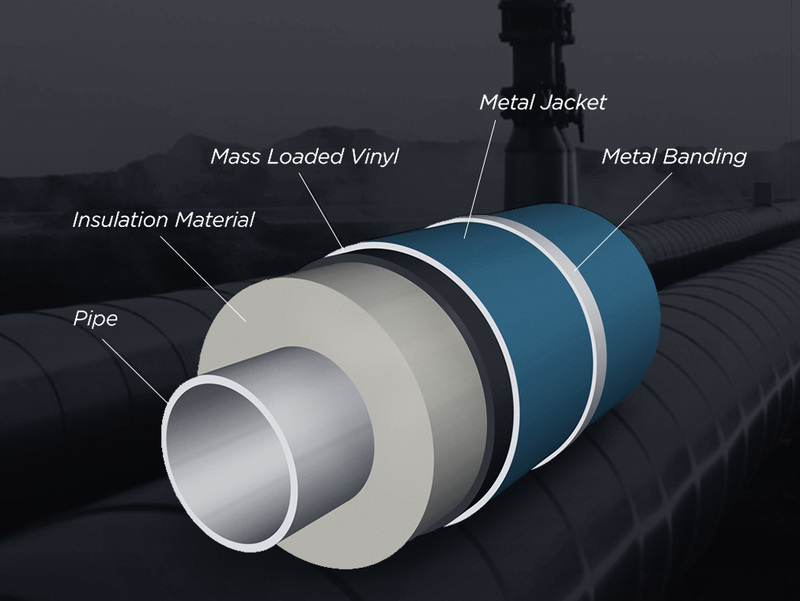 You can even buy Mass Loaded Vinyl from us in it’s raw state, unbonded to another metal; this is known as SoundMat and is suitable for use in many more properties and premises that are not as thoroughly industrial as oil and gas facilities. It’s Not Alone! : Give our customer service team a call today to find out more about VibroMet and VibroMat…..